So You Want to Be a Hero?Millionaire CEO Adam Drake overcame a tortured past to take control of his life and build his own gaming empire. The final piece falls into place with his newfound love for brilliant geek girl blogger, Mia Strong. Now Adam is at the top of his game.Your Princess Is in Another Castle.Until Mia suddenly breaks things off, leaving Adam in the dark. He senses she needs his help but that she’s too stubborn or scared to ask. The more he tries to take control, the further she shies away. This is one problem he can’t solve by writing a check or a few clever lines of code. 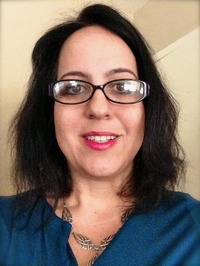 Brenna Aubrey is an author of New Adult contemporary romance stories that center on geek culture. Her debut novel, At Any Price, released December, 2013.She has always sought comfort in good books and the long, involved stories she weaves in her head. Brenna is a city girl with a nature-lover’s heart. She therefore finds herself out in green open spaces any chance she can get. A mommy to two little kids and teacher to many more older kids, she juggles schedules to find time to pursue her love of storycrafting.